Beachfront condo at Beachside Colony has 3 pools, one heated. Adjacent to the pool is highly-rated The Deck restaurant. 936 sq ft condo is spacious and has high quality furnishings. Outstanding beach and ocean views from balcony, living room and kitchen. Located across from Memorial Park. Read reviews and book with confidence! Check out our other condos! I have been managing properties for 14 years and hold a real estate license in the state of Georgia. It has an excellent view and my kids love the pool. There is also a restaurant on site and it is located mid island right on the beach and has easy access to all of Tybee Island. There is an elevator in the building. Beach wheelchairs are available through the City of Tybee. This condo has a great view of the beach, and is a bit over a mile walk on the beach to a public pier and resturants or a quick drive. Because public parking is over a mile up the beach, the beach in front of the condo is not overly crowded. We went a bit in the off season and had large stretches of beach to ourselves. The location of this condo in the building is very convient. There is an elevator, but it is just one very close flight of stairs to parking and the pool, resturant and beach access. The condo walls have great sound proofing. We never heard a sound from the people above, below or on either side of us. There is a modern granite and SS appliance kitchen, very comfortable bed and nice bathroom with double sinks. There is cable TV and Netflix if you are worn out. It's about half an hour from the old city in Savannah if you want to tour the city, house tours and museums. We toured the Mercer House from "Midnight in the Garden of Good and Evil", took a bus tour, had some good local beer, and fine dining. Savannah has a lot of history. Had a great week there and no complaints. The condo was very large for a one bedroom and the master bath was exceptional. Kitchen is fully furnished so if you want to cook, everything is provided. We would definitely recommend this condo to anyone visiting the area. We loved our condo. Enjoyed the many great eating places. Walks on the beach were good. Temperatures were mostly above normal, so that was really nice for a couple of Iowans. We plan to go back next year. Extremely clean and comfortable, updated waterfront condo. Outstanding views. Just the break we needed in our drive from South Florida to VIrginia. Booked on a spur of the moment and it was the best decision ever. Close to everything. #322 at Beachside Colony is quite beautiful. Spacious and up to date. The view from the balcony is indescribable, just what we were looking for. Hearing the waves on the beach is a sound that soothes and heals. 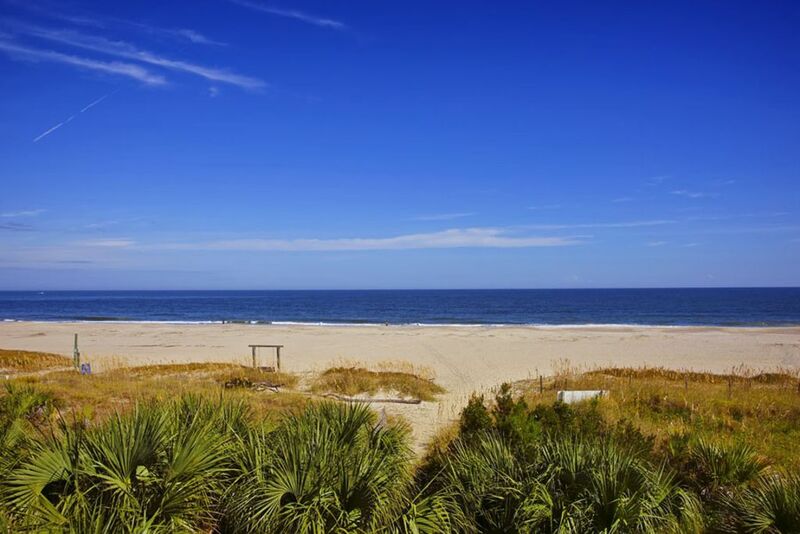 Tybee Island has been added to our list of favorite spots to visit. The calm, laid back atmosphere appeals to us in a major way. Stay on Tybee and do whatever in Savannah, then return to the peace of Tybee. Or just spend the day exploring this beautiful part of Georgia. We will be back! The condo was nice and had a great view. The condo had a great view and over all was nice, but don't expect any extras. We used the pull out couch for our adult son, sheets yes, but no extra blankets or pillows. The kitchen was very limited, wanted to make Christmas morning breakfast casserole, not one piece if bakeware, no crockpot, no toaster, some fancy toaster oven/ convection oven with no idea how to run. We had to get very creative to make a meal. Complex getting old, and a little run down. It was ok, but nothing great. Don't think we will be back. Lots of room on the beach. Mid-island with good access to all of island. We are about a mile from the pier and just over a mile to the Tybee lighthouse. Shops and stores within walking distance.